This Post has already been read 1581 times. 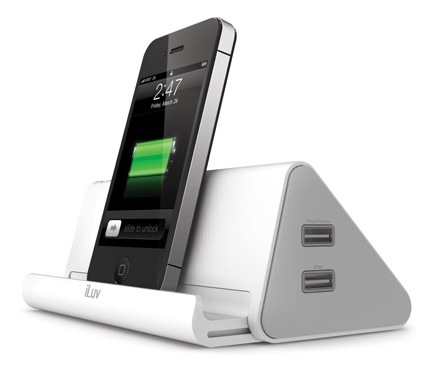 iLuv launches the DreamTraveler iAD301, a portable device that combines power strip with surge protection and iOS device/USB device charger. As its name tels, the DreamTraveler is designed for traveller with a slim travel-size that is capable of charging up to six devices at the same time. The DreamTraveler iAD301 has a dock for charging iPhone or iPad, two USB ports for charging iPad and other USB-powered devices, and three grounded powwer outlets with surge protection that protects devices from electrical spikes. Its iPhone/iPod has a sliding design to make it slim for easy carrying.